E.P.D.M. 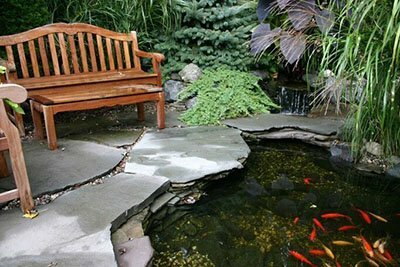 liners are particularly suitable – due to their compatibility with all aquatic life – for use in landscape or recreational ponds such as water gardens, basins for fountains, bog gardens, lining of cracked hard-shell ponds, and other applications. They are economical, easy to install and fish ready. Geosynthetic Systems offers 45mil E.P.D.M. liner in varying roll sizes; we also provide off-the-spool 45mil EPDM sold by the square foot, for smaller projects.